Sunday morning and we were on the road again. Ragen flew home that morning while Sheri returned from a 30 hr. “break” (she briefly went back to Portland for her bf’s wedding.) 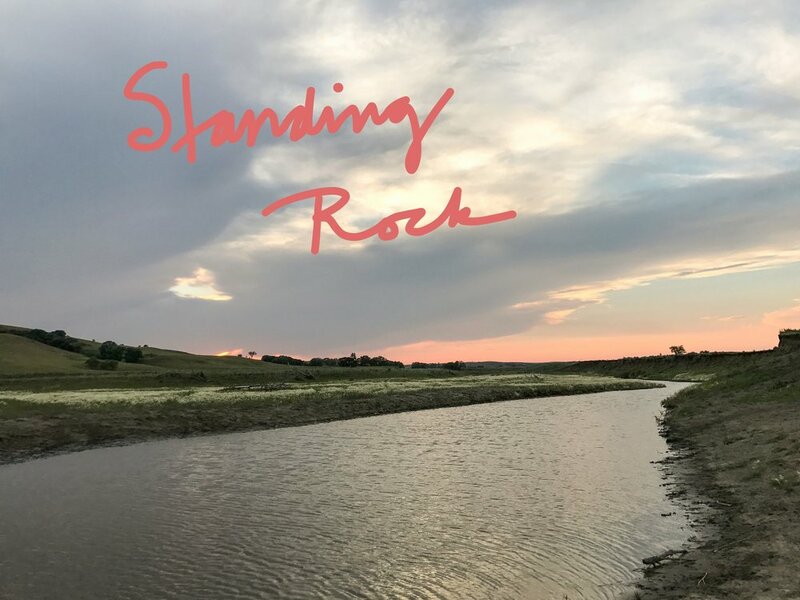 We ventured north to the Standing Rock Indian Reservation in North Dakota where we photographed two of the courageous Dakota Access Pipeline (DAPL) water protectors (and cousins) Alexis and Darlene. Once again we arrived late at night. The sunset was beautiful, but on the backroads we quickly lost sight in the dark. Our GPS failed us and we found ourselves pulled over on the side of the road. Almost immediately an old truck pulled up next to us, and a local man asked “Can I help you? Are you guys ok?” It was this kindness and genuine care that would guide us through our time at Standing Rock. The next day we met Alexis and Darlene at the Prairie Knights Casino & Resort where they brought along their cherished jewelry, belts, and ceremonial headpieces to augment the wardrobe. We then spent the afternoon photographing on their Uncle Syd’s horse ranch until the prairie sun set. Afterwards they invited us into their home for dinner where were talked about the impact of the demonstrations, and how they mobilization support from all over the world. Even so far from it, Standing Rock was one place where we really felt at home. 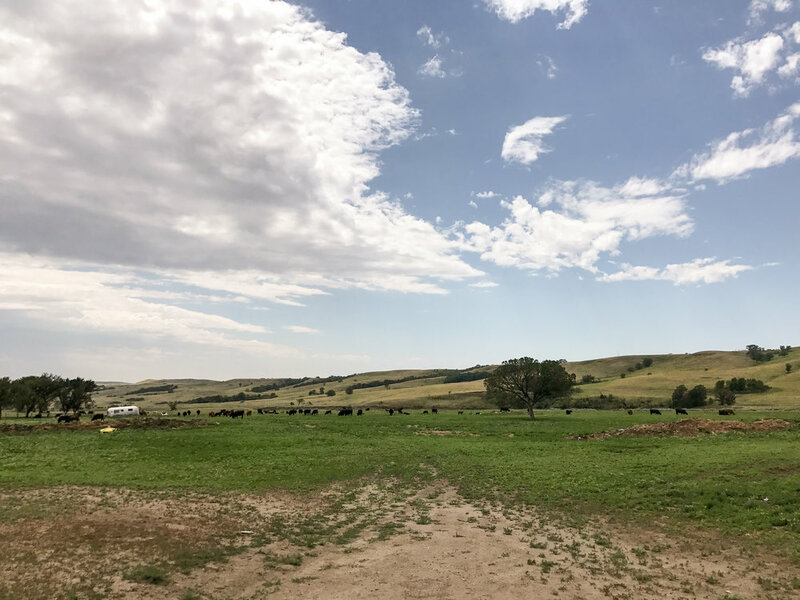 “I’m moving to Grand Forks, but for the majority of my life, I have lived on a reservation, where I’ve been surrounded by many women who have demonstrated strength, love, and perseverance. I look to them for guidance when I’m struggling, because where I’m from, no woman is alone. If I had five minutes to speak to the country, I would talk about the struggles Native American communities face from poverty to suicide to cultural appropriation.